Thought I'd have a look on here for old times sake. Glad to see you're still going well pwn! Hey Doc, hope all has been well! Still trying to keep everything going! This community is so awesome it really just runs itself. Hoping once DayZ Standalone supports mods (if ever), the forum will kick back up again. i am not sure if anyone else had the issues I had but the root@% for the pMain script in sql had to be updated to root@127.0.0.1 or root@localhost to exec properly. I think there may have been one other issue but I cannot rem atm lol anyways thanks again pwn good stuff. If anyone else had issues i would be glad to assist if I can. Just updated my sandbox to 1.8.3 and had the same MySQL issue of the root user not being recognised as a definer on hive spawn. Thanks to Stuff and Junk for the steer, otherwise I would have been at it a while longer before getting round to editing pMain to correct the reference under my own steam. Is there any major changes needed to support 1.8.4? what you mean 1.8.4? current version is 1.8.0.3 isn't it? i dont think 1.8.4 has been officially released yet? i looked the other day and there was only a partial diwnload available. Sure it has been released. Can't answer if Pwn will update this server package though. You'll have to ask him. CC will however support it very soon. Please help when i start server 1.8.4.1 and connect server crash with error: "Include file z\addons\dayz_code\gui\mod.paa not found"
is can make it to run on ubuntu? https://github.com/denisio pick your preferred mod. Its not terribly difficult and I had a few of them running last year on linux but this year I had some trouble and it took me a few tries to get everything right. People say that this https://github.com/emestee/dayz-epoch-linux-server-magic is much easier to setup, but it I tried it once or twice and the install did not work. It has a script to download everything for you and run all the setup steps. I prefer the Denisio. What Denisio's linux server does is this: It replaces all the call hivereadwrite's in your dayz_server pbo with writes to the log. Running concurrently with your arma server is a program called writer.pl that constantly reads the log for those hivereadwrites and writes them to the database. Reading in from the database is done by writing data to a 'cache' and then compiling that file into the server 'on the fly' such as this line that gets the server time. It really is a very elegant system and works very well without any additional lag (not that myself or players have ever noticed. One 'benefit' of this system is that you can edit the hive calls to change how and what data is saved to the database. And it will work with ANY MOD of ANY VERSION simply by replacing the lines in a few files of your dayz_server.pbo .... Its probably best to use the version uploaded and then adapt your server into it, rather than the other way around so as to avoid any errors. Thanks for the answer . I'll try it soon. I had problems. So open issue for denisio, because i think is no more compatible with dayz vanilla updated version. 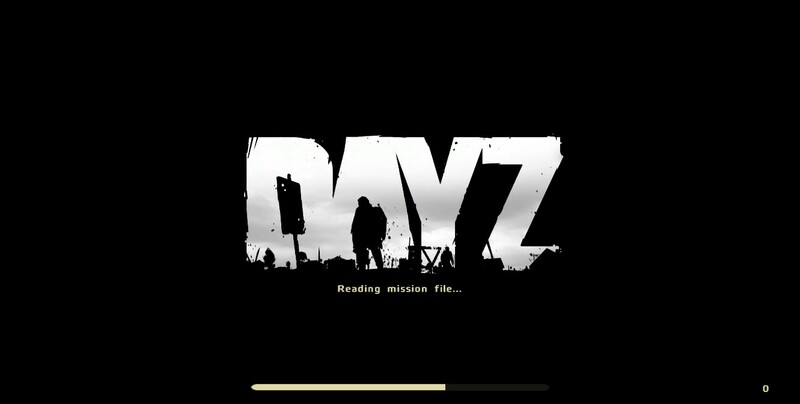 the error you mention is because the mission has a request to load the rest of description.ext from the dayz_code pbo. Use your mission from 1.8.5 rather than from denisios repository to fix that error. Use winmerge to compare and merge the dayz_server from the denisio version with the 1.8.5 version. I now tried run the server with mission, key and dayz_server (@hive) all of here http://forums.dayzgame.com/index.php?/topic/224484-dayz-mod-185/ Server Files. ah! i have other issue. it is normaly? The steamAPI error is normal. .. I think. Freezes at Reading Mission File? Is your cfg file pointing to the correct mission file name? Post your RPT log (its not named RPT in the linux I think though) and lets see what it says. that small bit of code looks like normal dayz hive call instead of the denisio log save code. did you edit the dayz files to match denisio code? use winmerge to compare the two dayz_server folders. or you just missed one.